Jungle Brothers second album. Release date: November 7, 1989. 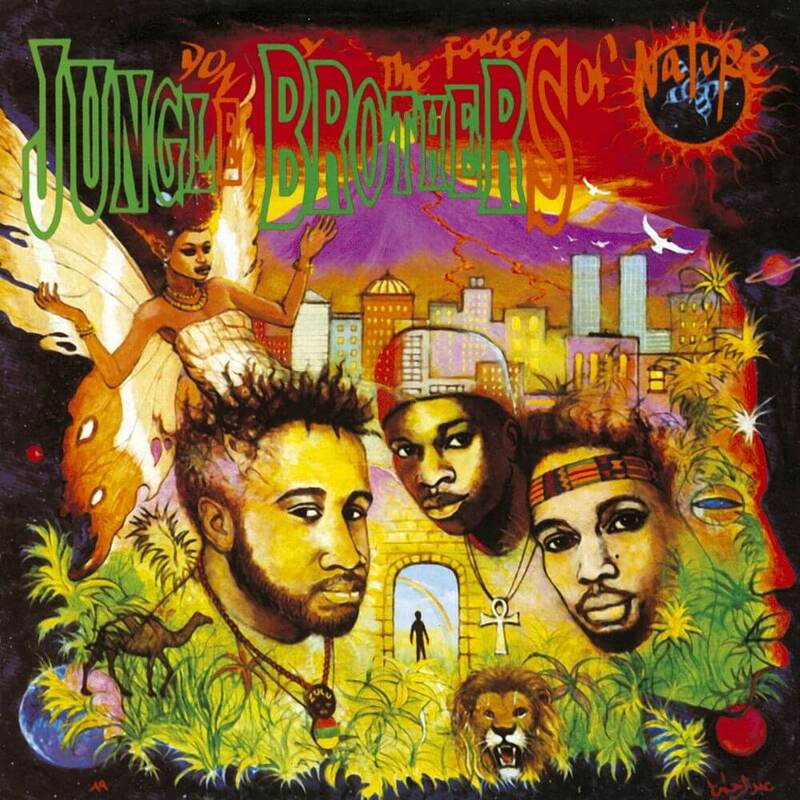 Recording sessions for the album took place in 1989 at Calliope Studios in New York City, and production was handled by the Jungle Brothers. It was mixed at Apollo Studios by Kool DJ Red Alert and the Jungle Brothers. Done by the Forces of Nature peaked at number 46 on Billboard‍ ’​s Top R&B/Hip Hop Albums chart. It also received rave reviews from music critics who praised its Afrocentric themes, clever lyrics, house-influenced production, and eclectic sampling of music genres such as jazz, R&B, funk, and African music. Done by the Forces of Nature has been considered a golden age hip hop classic, as well as one of the greatest and influential Hip Hop albums of all time. In 1998, The Source magazine selected the album as one of its 100 Best Rap Albums.